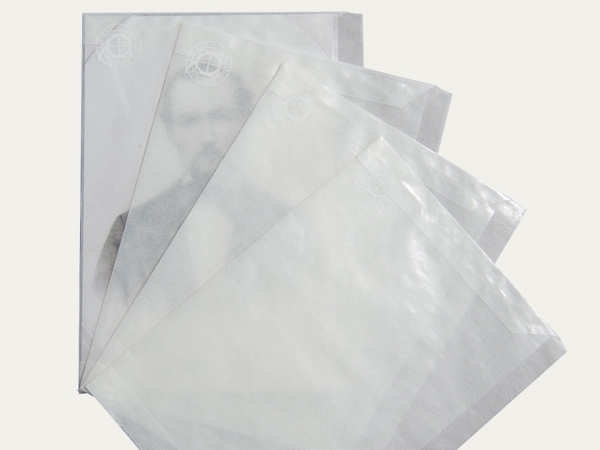 Unbuffered, photographic archival envelope enclosures in U-style, made from transparent archival paper. The envelope opening is on the longer side. 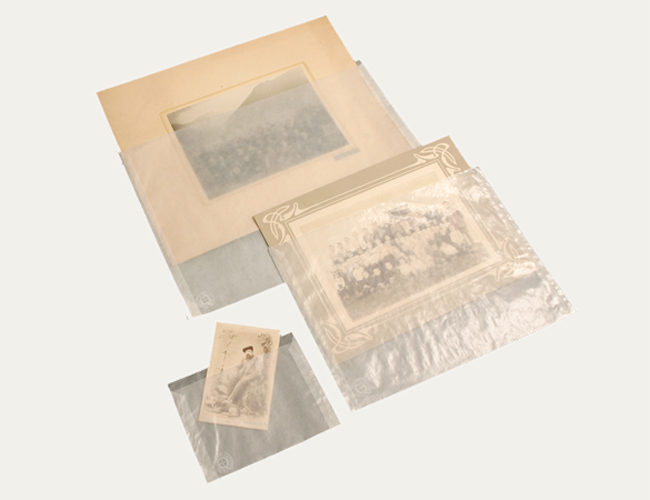 Suitable for archiving photographs, negatives and slides. Both, paper and glue have passed the Photographic Activity Test (PAT) in accordance with ISO 18916. Other sizes available on request.